Or Mount Moriah, this is the place where the temple is located. Only then it began to be called the Temple Mount. In the old Jerusalem, a Christian temple was erected, which was called a temple in Zion, after which they became so called Sion and the mountain on which it stands. In this temple is the alleged tomb of King David. This error also gave the name to the Jewish revival movement the Zionist movement. The essence of the name is the revival of an independent Israel, as it was under King David. And because the alleged coffin of David is on the mountain, which Zion was mistakenly called, and gave this name to his movement. Height: 743 m. Above sea level. Zion or Mount Moriah, this is the place where the temple is located. Already then it began to be called the Temple Mount. In the old Jerusalem, a Christian temple was set up, which was called a temple in Zion, after which it was so called Zion and the mountain on which it stands. In this temple is the alleged tomb of King David. This error and gave the name to the Jewish revival movement of the Zionist movement. The essence of the name is the revival of an independent Israel, as it was under King David. And because the alleged coffin of David is on a mountain that Zion was mistakenly called, and gave this name to their movement. 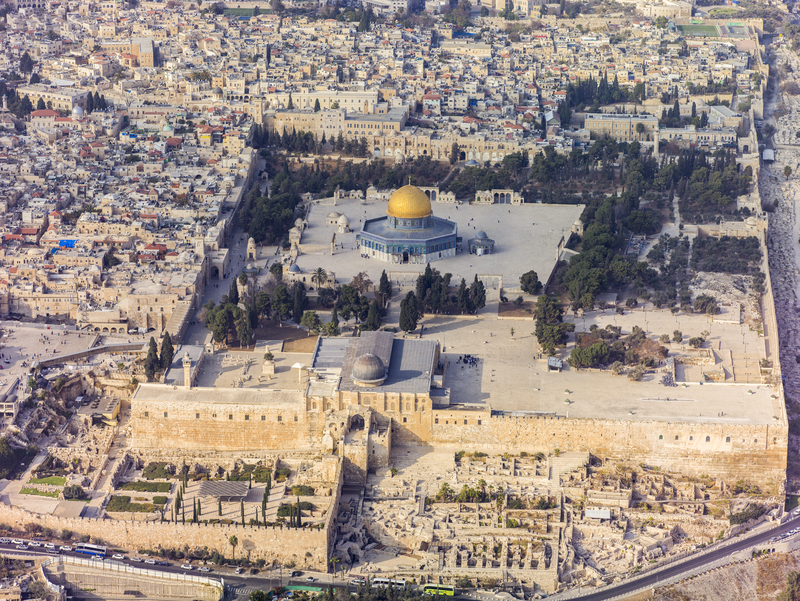 Temple Mount (Zion) from a bird's-eye view. 1 The Song of the Ascension. David. He that trusteth in the Lord, as mount Zion, shall not be moved: he abideth forever. 2 Mountains around Jerusalem, and Lord around His people from now on and forever. In this psalm there is a comparison of the Gore of Jerusalem with the Lord, and Jerusalem with people, God's people. And we see that the city was destroyed more than once, but the mountains stood and stand, they are unshakable, like the Lord. And even the temple itself was destroyed, as Jesus and said, but Mount Zion stands. This raises the importance of the mountain itself. Jerusalem is the work of men, and the mountain is the work of God. Therefore, uncut stones were used on the altar, that is, stones touched by God, but not touched by man. 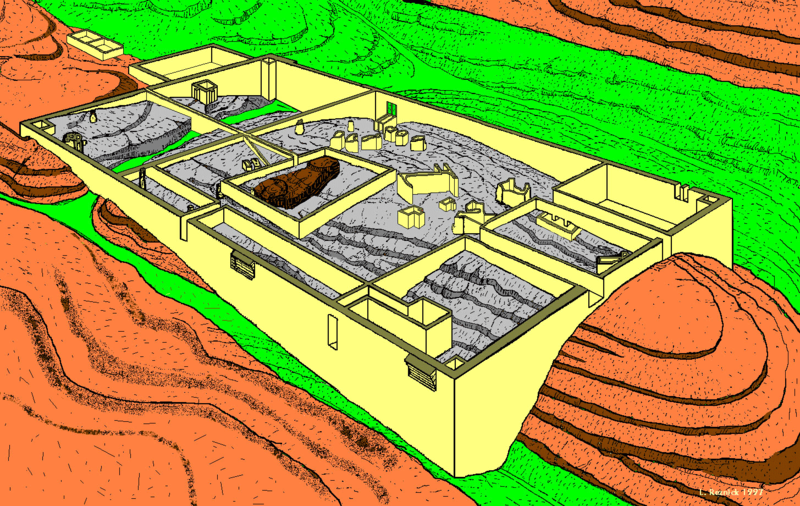 The figure shows the mountain itself, which was later aligned with King Herod the Great. This is the Jewish national movement, the goal is to assemble the Jewish people in Eretz-Israel (on the land of Israel). That is, this movement is for the rebirth of the nation. As we know, it was successful and today Israel was rebuilt, which took place as a state. Well, that's all we know. But what is the connection here with Zion? What is the symbolism of Zion? After all, you could call Israel, since there was no country. It was possible to use its name. In the Bible there is the name "Mount Zion", and in significant places. And so, as the temple mountain was already called Moria, Zion was looked elsewhere. Someone some hill identified as Mount Zion, set the temple, they identified the tomb of King David. The fact is that the heyday, the rise of Israel reached under King David. Then Israel was independent and influential, with the largest territory. But just as the tomb of David is, as believed in Zion, therefore and gave the name to this movement Zionism. Now this is a story.